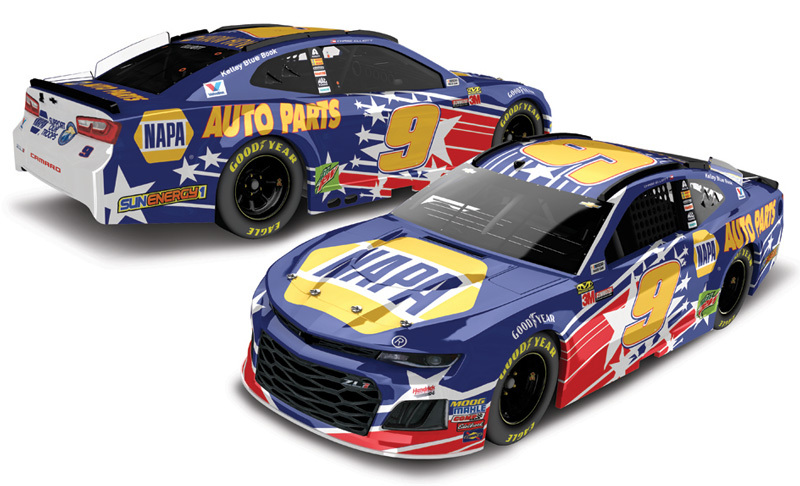 2019 Chase Elliott #9 NAPA / Chevrolet Camaro ZL1 NASCAR 1/24 diecast, by Action Lionel. 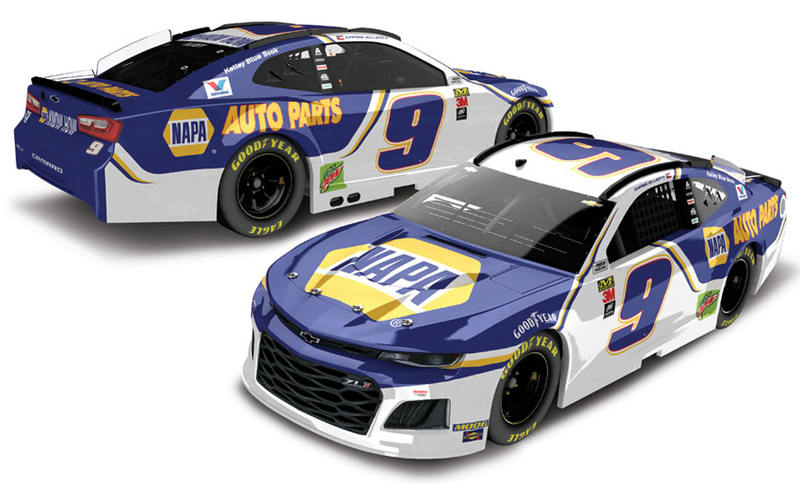 The Hendrick Motorsports #9 NAPA Auto Parts Chevrolet Camaro ZL1 will be raced by Chase Elliott during the 2019 Monster Energy NASCAR Cup season. 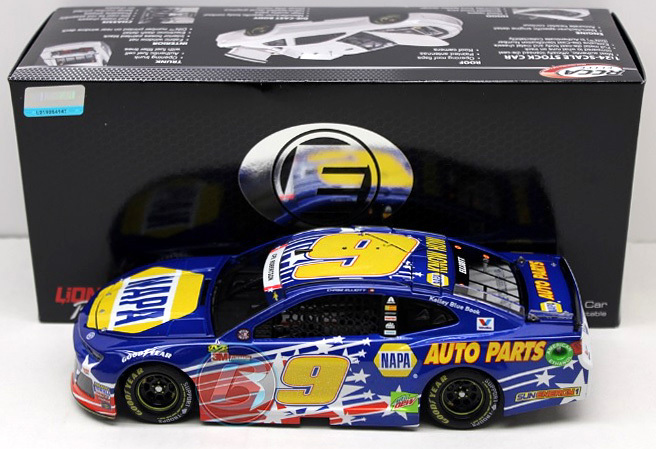 2019 Chase Elliott #9 NAPA / Chevrolet Camaro ZL1 NASCAR 1/64 diecast, by Action Lionel. The Hendrick Motorsports #9 NAPA Auto Parts Chevrolet Camaro ZL1 will be raced by Chase Elliott during the 2019 Monster Energy NASCAR Cup season. 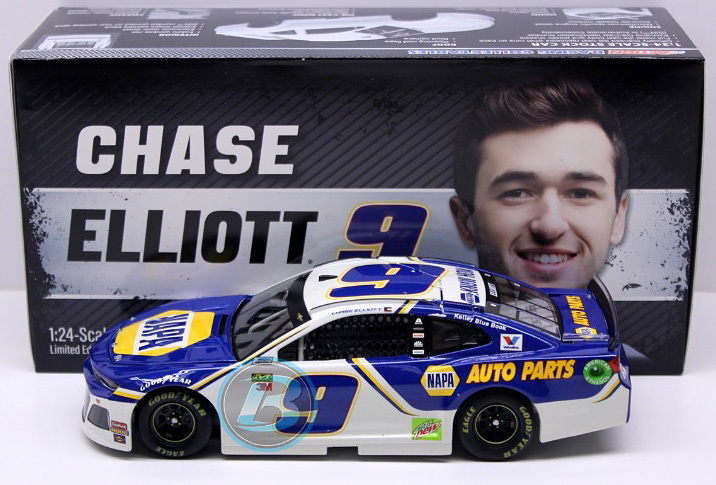 2019 Chase Elliott #9 Hooters / Chevrolet Camaro ZL1 NASCAR 1/24 diecast, by Action Lionel. 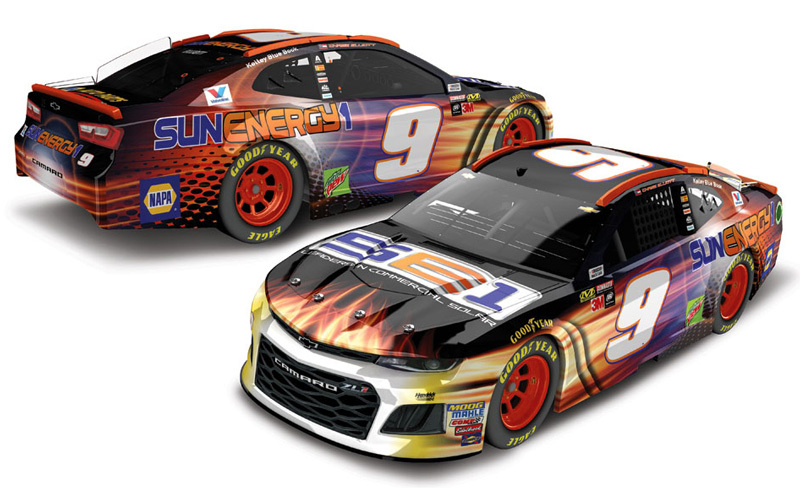 The Hendrick Motorsports #9 Hooters Chevrolet Camaro ZL1 will be raced by Chase Elliott in 3 events during the 2019 Monster Energy NASCAR Cup season. 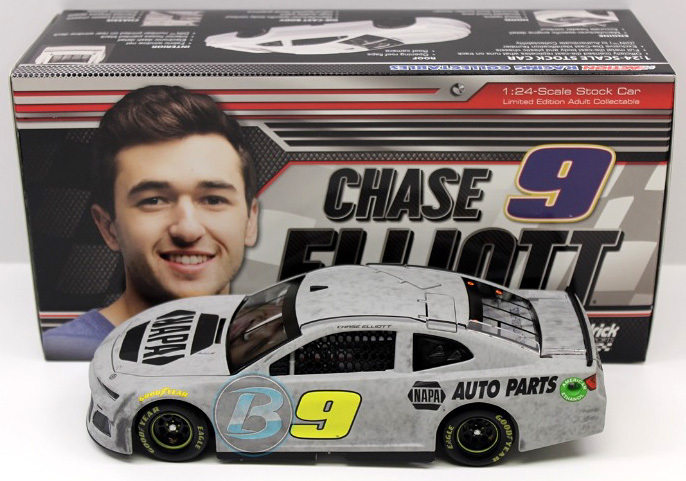 2019 Chase Elliott #9 Hooters / Chevrolet Camaro ZL1 NASCAR 1/64 diecast, by Action Lionel. The Hendrick Motorsports #9 Hooters Chevrolet Camaro ZL1 will be raced by Chase Elliott in 3 events during the 2019 Monster Energy NASCAR Cup season. 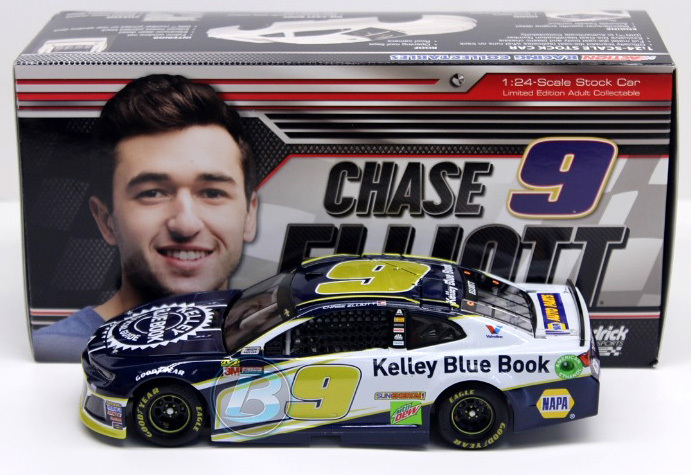 2019 Chase Elliott #9 Kelley Blue Book / Chevrolet Camaro ZL1 NASCAR 1/24 diecast, by Action Lionel. 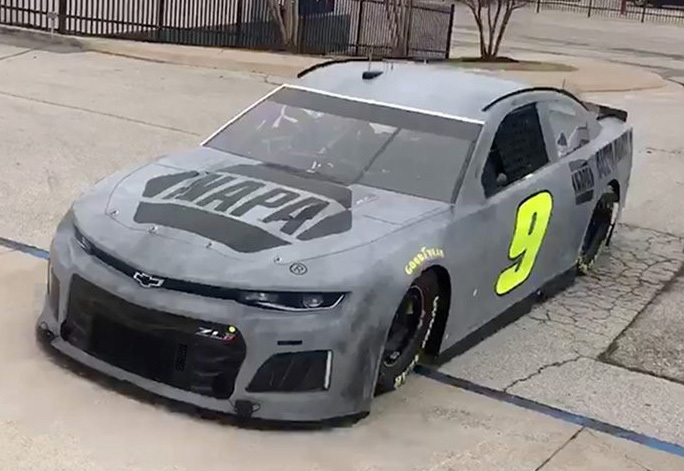 The Hendrick Motorsports #9 Kelley Blue Book Chevrolet Camaro ZL1 will be raced by Chase Elliott in 2 events during the 2019 Monster Energy NASCAR Cup season. 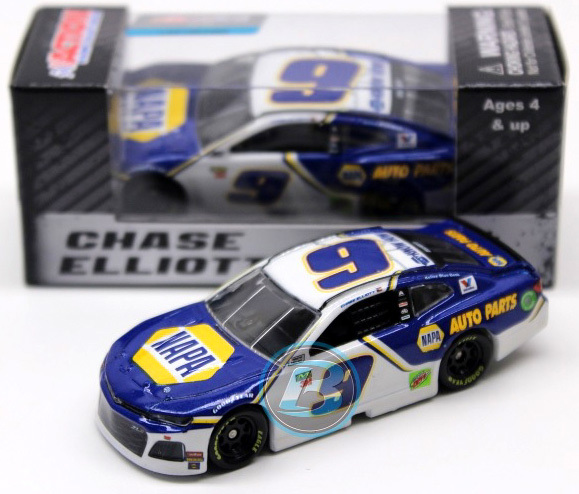 2019 Chase Elliott #9 Kelley Blue Book / Chevrolet Camaro ZL1 NASCAR 1/64 diecast, by Action Lionel. 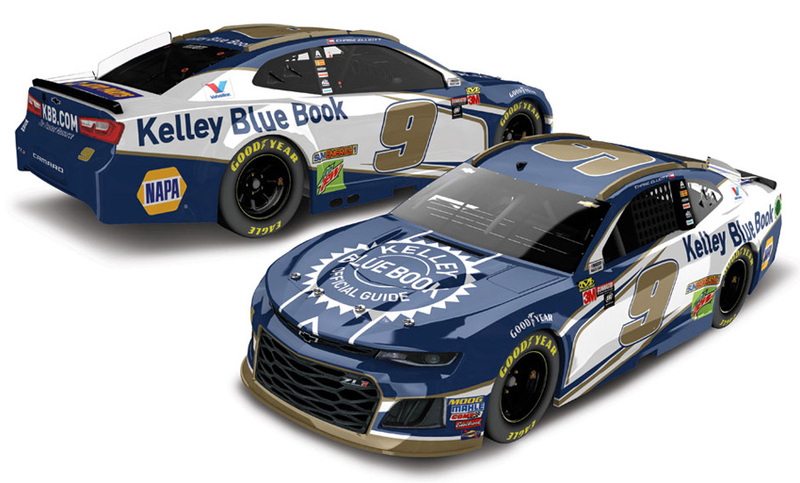 The Hendrick Motorsports #9 Kelley Blue Book Chevrolet Camaro ZL1 will be raced by Chase Elliott in 2 events during the 2019 Monster Energy NASCAR Cup season. 2019 Chase Elliott #9 Mountain Dew / Chevrolet Camaro ZL1 NASCAR 1/24 diecast, by Action Lionel. 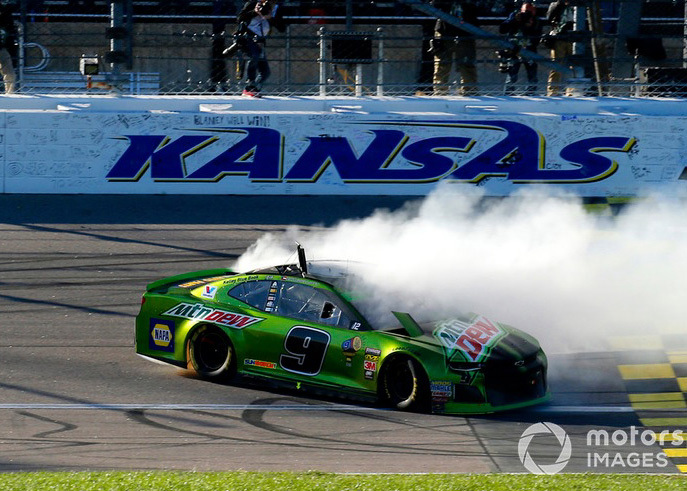 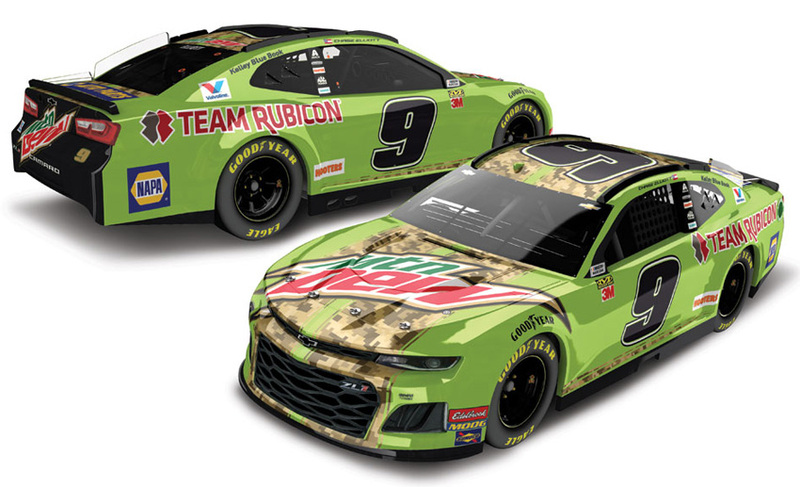 The Hendrick Motorsports #9 Mountain Dew Chevrolet Camaro ZL1 will be raced by Chase Elliott in 4 events during the 2019 Monster Energy NASCAR Cup season. 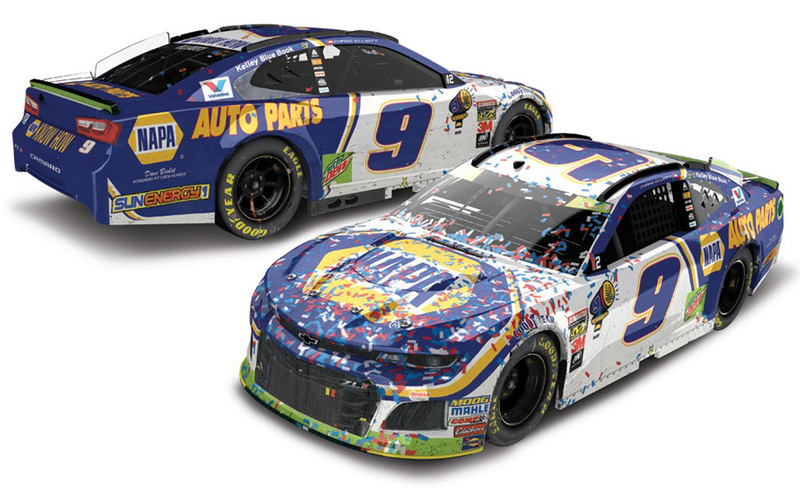 2019 Chase Elliott #9 Mountain Dew / Chevrolet Camaro ZL1 NASCAR 1/64 diecast, by Action Lionel. 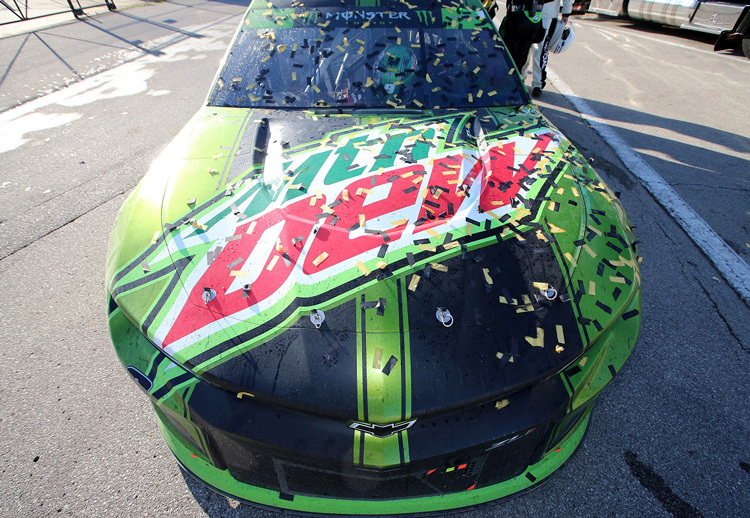 The Hendrick Motorsports #9 Mountain Dew Chevrolet Camaro ZL1 will be raced by Chase Elliott in 4 events during the 2019 Monster Energy NASCAR Cup season. 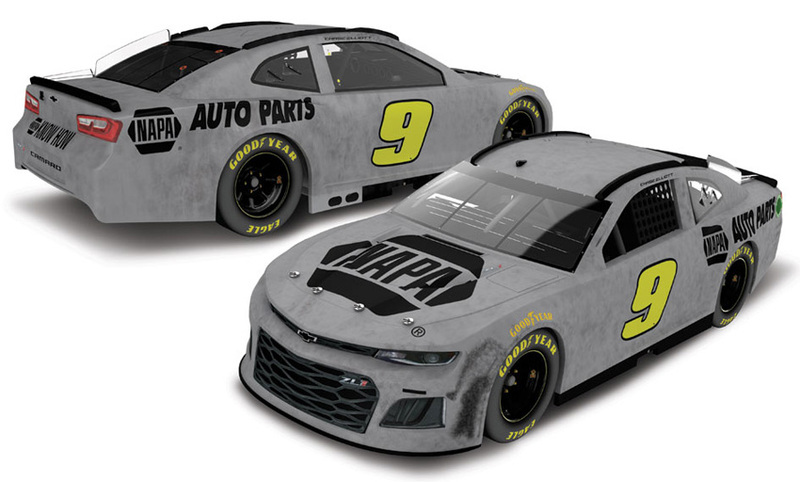 2019 Chase Elliott #8 AfterShockz / Chevrolet Camaro NASCAR 1/24 diecast, by Action Lionel. 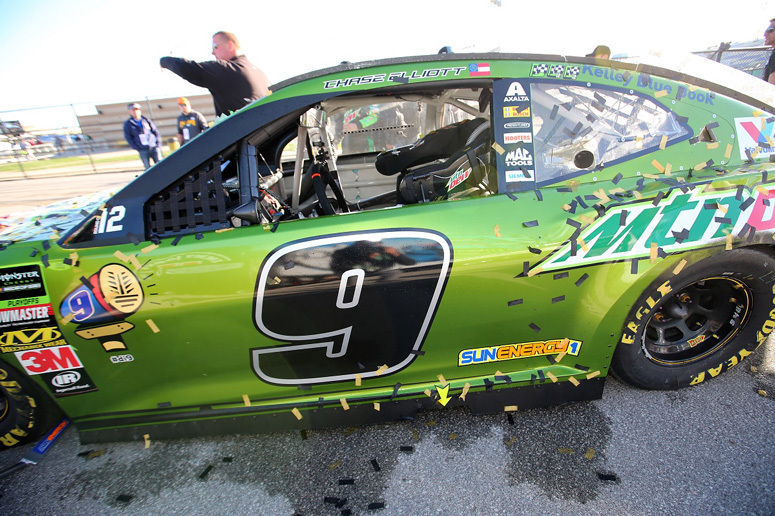 The JR Motorsports #8 AfterShockz Chevrolet Camaro was raced by Chase Elliott in the NASCAR xfinity Series, NASCAR Racing Experience 300 at Daytona International Speedway on February 16, 2019. 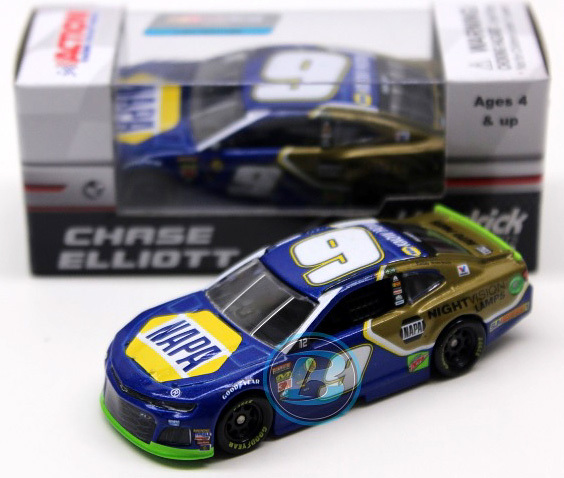 2019 Chase Elliott #8 AfterShockz / Chevrolet Camaro NASCAR 1/64 diecast, by Action Lionel. 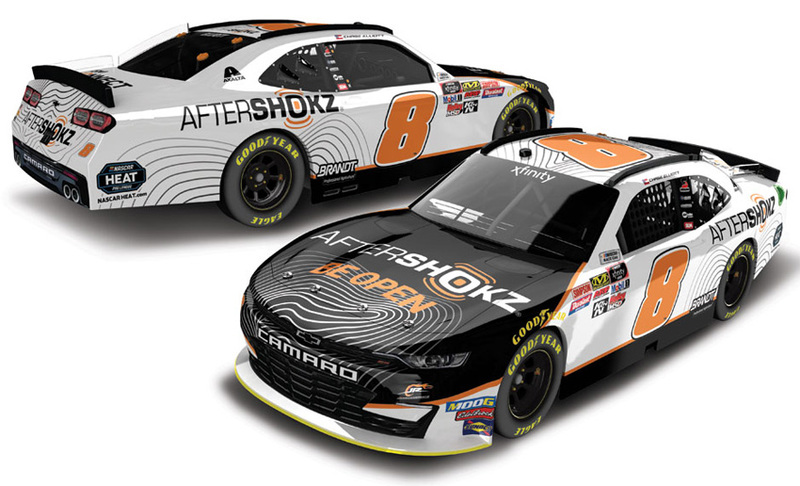 The JR Motorsports #8 AfterShockz Chevrolet Camaro was raced by Chase Elliott in the NASCAR xfinity Series, NASCAR Racing Experience 300 at Daytona International Speedway on February 16, 2019. 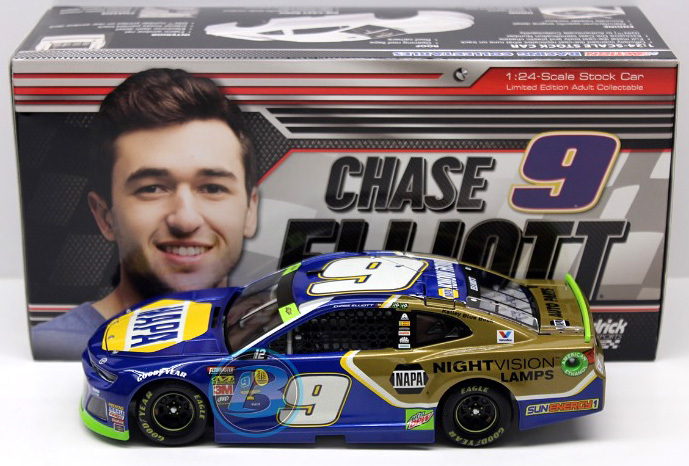 2018 Chase Elliott #9 NAPA Nightvision Lamps / Chevrolet Camaro ZL1 NASCAR 1/64 diecast, by Action Lionel. 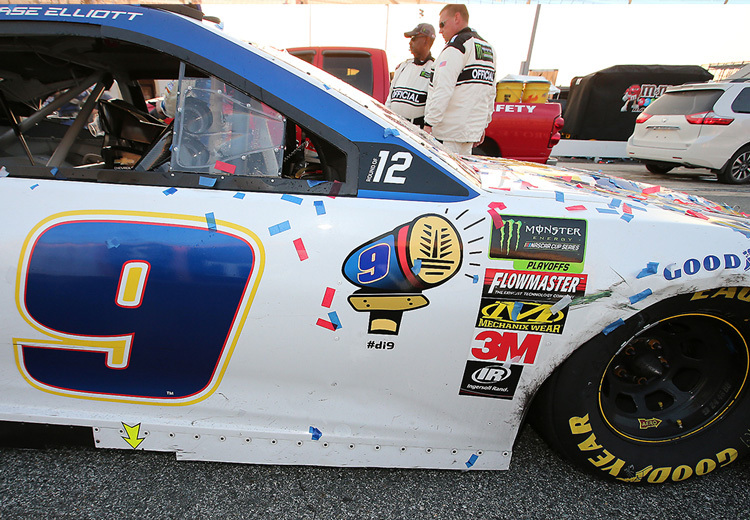 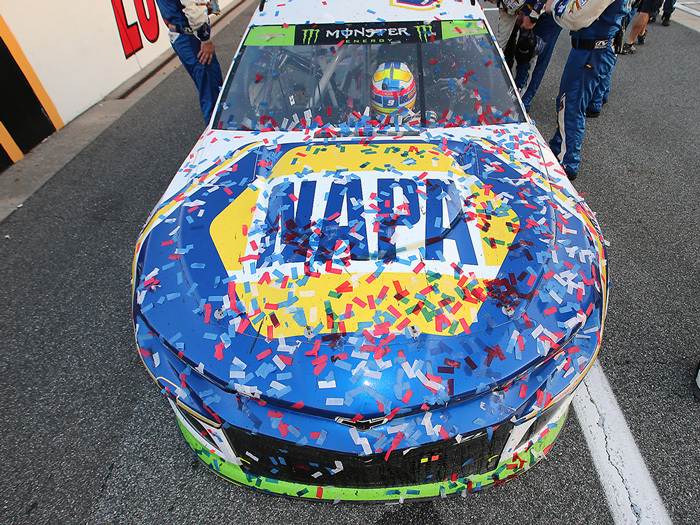 The Hendrick Motorsports #9 NAPA Nightvision Lamps Chevrolet Camaro ZL1 was raced by Chase Elliott in the Monster Energy NASCAR Cup, 1000Bulbs.com 500 at Talladega Superspeedway on October 14, 2018. 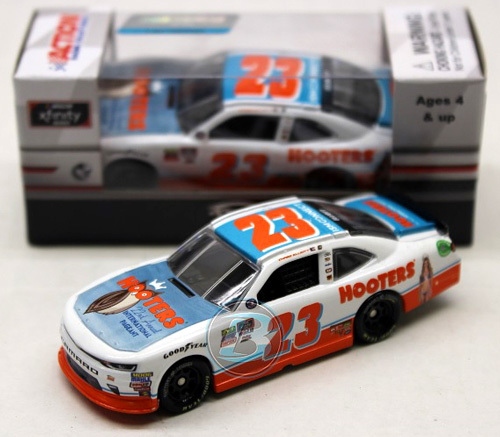 2018 Chase Elliott #23 Hooters Pageant / Chevrolet Camaro NASCAR diecast, by Action Lionel. 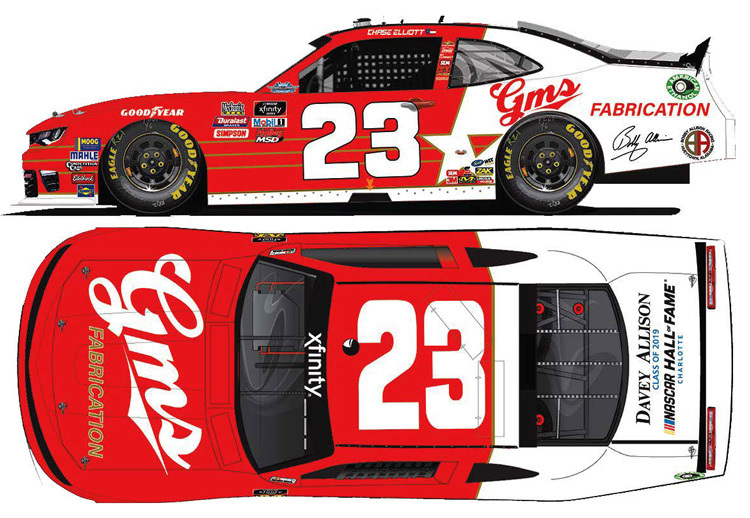 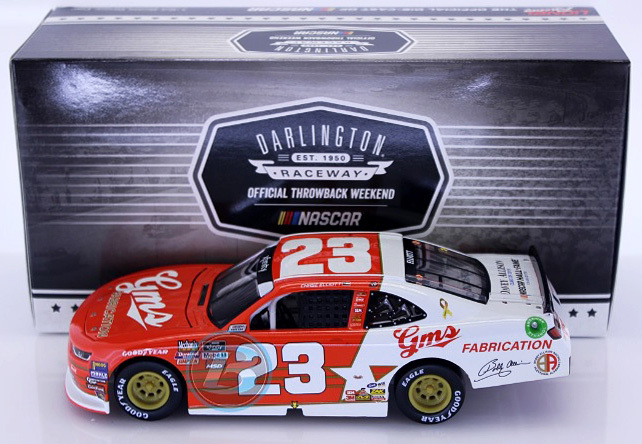 The GMS Racing #23 Hooters Pageant Chevrolet Camaro was raced by Chase Elliott in the NASCAR xfinity Series, Alsco 300 at Charlotte Motor Speedway on May 26, 2018. 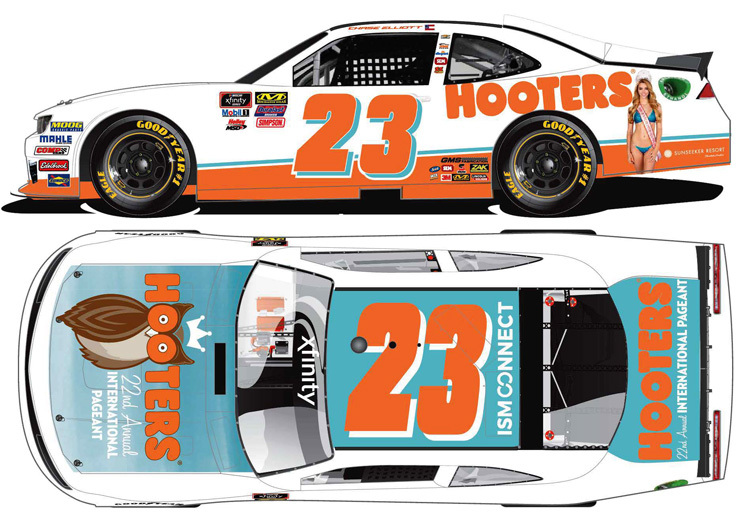 This paint scheme celebrates the 22nd Annual Hooters International Pageant. 2018 Chase Elliott #9 SunEnergy1 Blue / Chevrolet Camaro ZL1 NASCAR 1/64 diecast, by Action Lionel. 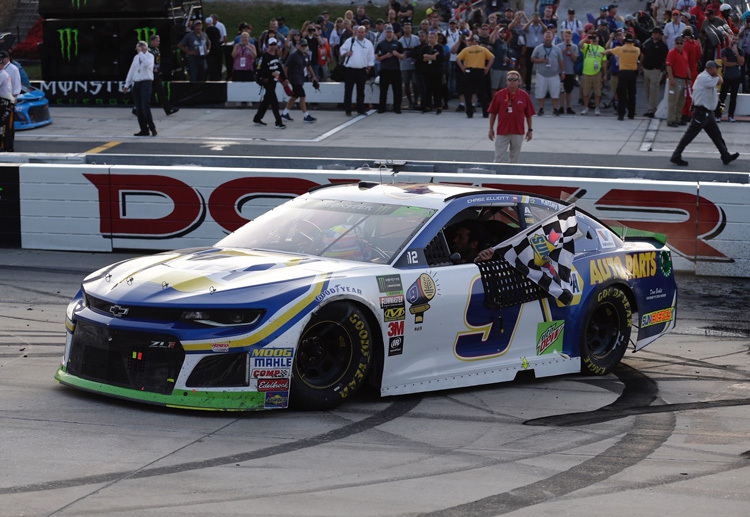 The Hendrick Motorsports #9 SunEnergy1 Blue Chevrolet Camaro ZL1 was raced by Chase Elliott in 3 events during the 2018 Monster Energy NASCAR Cup season.